Ron Nixon - A Large abstract painting on canvas, dated 1978. Canvas stretched over a wooden framework, signed "RN 78" to the front and “Ron Nixon 78” to the back This is from a series of work made for a very large international corporate company in Portsmouth. The image very much of it’s age is however also very contemporary with todays digital imagery but all done with the eye and the brush rather than the computer, stripped of any figurative representation Ron Nixon has used graphic shapes and vibrant colour to produce this striking piece. Initially created in a series for a large commercial space this would look stunning in a contemporary domestic setting. 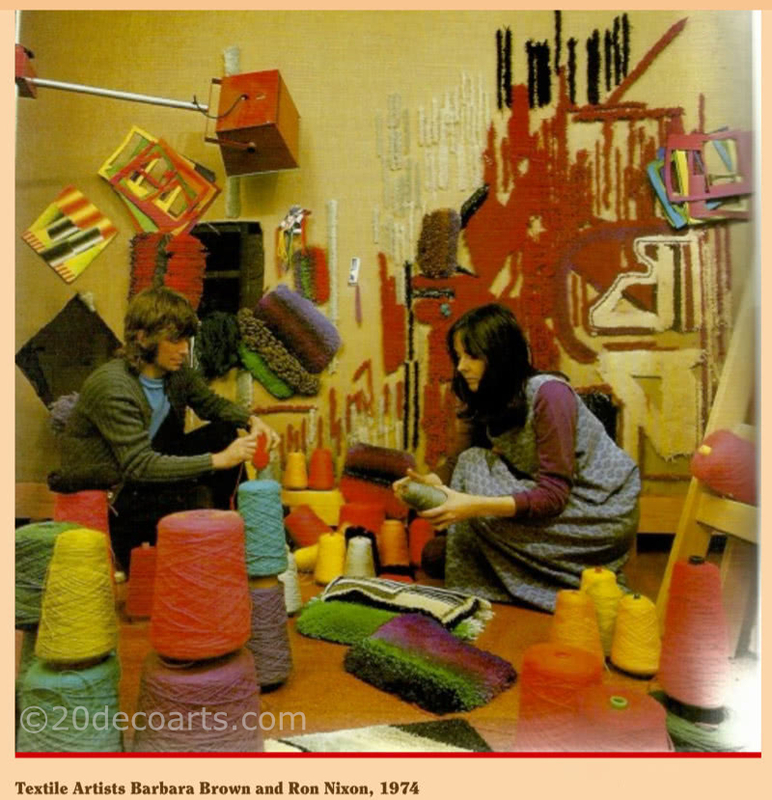 Ron Nixon was the partner of the internationally renowned textile artist / designer Barbara Brown who produced many designs for Heals through the 1960’s and 70’s, the couples Edwardian house / studio in Sth East London is featured in the 1974-75 Decorative Arts Yearbook.